As from Monday 4 June 2018, learner drivers are able to take driving lessons on motorways in England, Scotland and Wales. Previously, you could only have motorway lessons after you’ve passed your driving test. Some newly-qualified drivers take lessons through the voluntary Pass Plus scheme. Accompanied by an approved driving instructor driving a car fitted with dual controls. The change only applied to learner drivers of cars. Learner motorcyclists won’t be allowed on motorways. 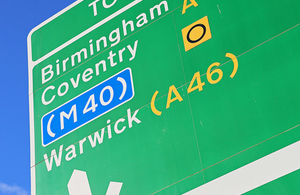 Click here to see some helpful video guides for learner drivers including motorway driving. Filmed in conjuction with Adrian Flux insurance.